Q: What is the Kavino Club? A: The Kavino Club is an exclusive wine subscription service that delivers hand-picked and curated wines based on what YOU like and enjoy, every month, right to your doorstep. This is the first of its kind in the Philippines and brought to you exclusively by Winery Philippines. Q: What are the different payment terms for Kavino Club membership? A: We offer both pay-as-you-go plans and prepaid plans. Pay-as-you-go plans offer you the freedom to cancel your wine subscription at any time. We do however recommend you go for the Prepaid plans, not only because of the savings you will get by prepaying, but also because of the many perks that Prepaid Kavino Club members get to enjoy. To compare plans, visit our Comparison Table. A: For both prepaid and pay-as-you-go plans, you may pay via credit card, cash on delivery* or bank deposit (BPI). Simply select your plan, checkout (as you would any of our products on the site) and select your preferred payment method. Yes, it’s that easy. 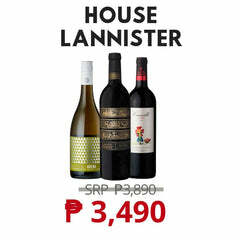 Cash on Delivery is only applicable for Metro Manila wine subscriptions. Q: Is there a separate fee for delivery? A: Wine delivery is ABSOLUTELY FREE for ALL Kavino wine club members, to any point within Metro Manila. If you’re outside of Manila and interested in becoming a Kavino Club Member, you can select the shipping option "Outside Metro Manila", and the system will automatically compute the fees. Q: What kind of wines will I be getting in my monthly Kavino Club Wine Subscription box? A: Have a look around and check the wines that we sell and their awards / accolades, from industry-standard critics. 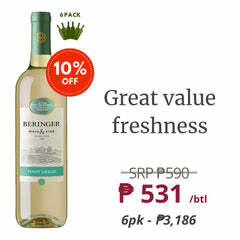 For Kavino Club wine subscribers, we only fulfill wines whose SRP range from Php800 – Php1,600 (on average, wines costing ~Php1,200). We stand by our quality 100% - we will never sell you wine that we have not personally tested and vouched for. Still not convinced? If any of the wine we deliver to you should not be to your satisfaction, we will replace or refund it. No questions asked (though your feedback is very much welcome). We have invested a lot of time and effort into this and will never risk our reputation being destroyed by selling you cheap, supermarket wine. Q: When do I get my first month’s wine subscription box? A: Your first month wine subscription box shall be fulfilled within 3 business days of you placing the order. For the succeeding months of your subscription, we fulfill them every 24th of the month or the week day prior if the 24th falls on a weekend. Q: How long is the wine subscription for? We offer plans in ‘pay-as-you-go’ (pay every month; can cancel at any time), 3 months, 6 months and 12 months. Compare wine subscription plans to find out what works best for you. Q: What are the differences between Kavino Starter, Premier and Boss? 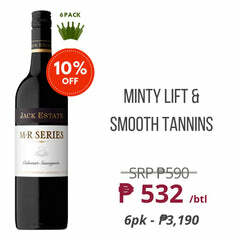 Personalised discount code – year long 5% discount on wine purchased from Winery Philippines. Any quantity, any time. 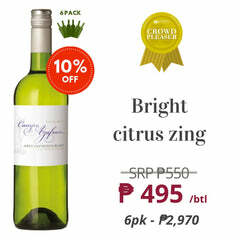 Personalised discount code – year long 10% discount on wine purchased from Winery Philippines. Any quantity, any time. Free gift-wrapping for up to 12 bottles per year if you subscribe for 12 months. Q: How do I state my wine preferences for the wine subscription? Meat-heavy diet? This is for you! We’ve done extensive market research to narrow the choices down to the above 4 most popular combinations. If however none of these combinations work for you, give us a call at +63 917 500 4657 and we’ll sort you out. Q: Can I request for a specific wine, from a specific winery, to be included in my Kavino Club wine subscription box? A: That wouldn’t be any fun, won’t it? Seriously though – a big part of the allure of our wine subscription boxes is the “discovery” process. We promise you wines that are of exceptional quality and value. These may be wines that you’ve never heard of or tried, but we guarantee to be excellent as we personally curate each and every bottle we sell. We also include wine tasting notes in the box, to help you in your vino journey and allow you to better enjoy these wines. Ready to be part of the Kavino Club? Select your ideal wine subscription plan right now. Love wine and consume it regularly? Frustrated with the amount of choices in wine stores in Manila and unsure whether you’re getting a really good wine? You may have ended up with sticking to the “old reliables” – red wine, white wine or sparkling wine that you have tried in the past. Nothing wrong with that – but wouldn’t you want a wine delivery service that provides hand-picked, curated and consistently great wine? Hurray, the Kavino Club is here! Winery Philippines now offers an exclusive online wine subscription & wine delivery service through the Kavino Club! We offer a wide selection of the best red wine, best white wine, as well as sparkling wines -- 100% customer satisfaction guaranteed! We’ve partnered only with boutique wineries that are passionate about producing and selling great wines, so we can guarantee that every wine bottle included in our selection are some of the best wine in Manila. Kavino wine club offers three basic wine subscription packages and flexible payment options. So, stop throwing away your money with “blind-purchase” supermarket wines in Manila, and start discovering wines that cater to your taste. Winery Philippines will take you on a wine journey across several continents and give you an opportunity to indulge in red wine and white wine, as well as other types of wines from the best wine producing regions across the world. Kavino Club is the first online wine subscription service & wine delivery in the Philippines, brought to you by Winery Philippines. 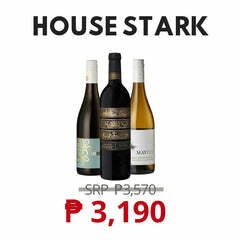 Winery Philippines aims to be Manila’s most trusted online wine store by carrying some of the best wine in Manila, providing easy access for customers to learn about wine, and guiding them on the most reliable methods on how to choose wine.